The new rules also have implication for B2B marketing professionals who serve companies with multiple divisions. 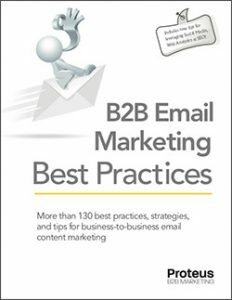 What this means for B2B marketers is that people who have opted out of Division A’s email can still be sent email by Division B. However, if you’re going to do this, make sure the entirety of your email’s content is from and about a single division and that the “sender” of the email is identified as the division. Also, if someone has opted out of a division’s email, the parent company can still send email to that person. The advice here is to be very clear just who the “sender” of the email is. Keep your content related to the “sender”, and make sure all other matters such as the physical address and opt-out processes align with that sender. If you can’t keep it all straight and separate, the best advice would be to unsubscribe the recipient from the lists of the parent and all divisions. This is a perfect opportunity to preserve the trust of your online audience. Marketers who see this “separation” as simply an opportunity to, in effect, continue bombardment under a different name will pay the ultimate price in credibility. Those who manage it well, as you suggest–ie, make the situation very clear on the “you are unsubscribed” note (perhaps even asking the recipient’s desire given the situation)–will fare the best.